Kingston Upon Hull is now officially the world’s newest backpacker destination! And it’s all thanks to Hull Trinity Hostel that has recently announced itself proudly that there’s a premier backpacker hostel deep in the heart of the Old Town of Hull, showcasing some of the city’s best sights and attractions. Set up by a local resident, Niccolas, newly appointed as Manager, he realised that Kingston Upon Hull had no hostel aimed at the travelling/backpacker community after getting many requests from fellow backpackers on his travels to come and visit him in the UK. Teaming up with his uncle a few months later, they started to set up the business that aimed at providing a place where they can show off Hull’s finest and best including The Deep and the Old Town Museums, and also providing a relaxing social atmosphere for those who have come to enjoy the city. 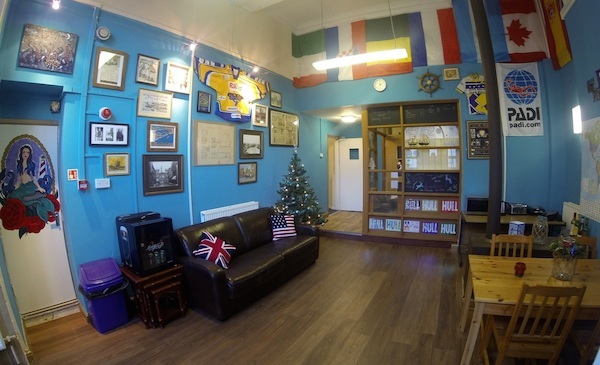 Hull Trinity Hostel: Why Should You Stay? Deep in the heart of the Old Town, they started setting up the Hull Trinity Hostel in a building that’s been likened to that as the Ghostbusters Headquarters in the popular science fiction film! 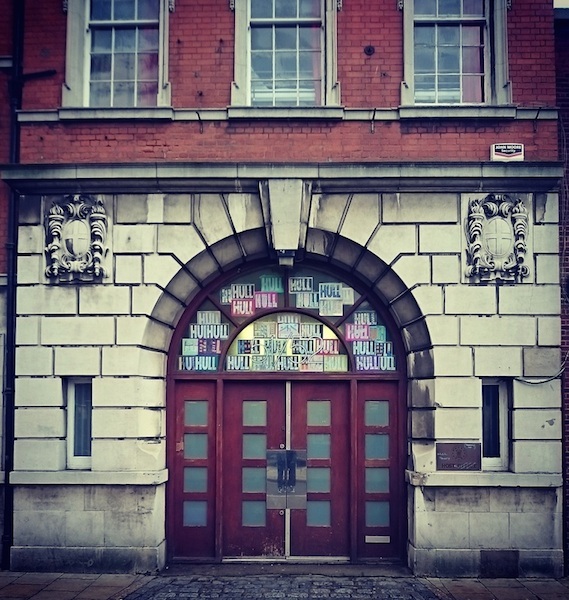 If that’s not enough to check out this amazing building, the Hull Trinity Hostel used to be a theatre holding 700 people. Today, it’s the turn of the Hostel taking occupancy and changing from what was offices and warehouse spaces into that of a thriving centre of backpacker tourism. With only walking distance from the train station and a five minute drive from the ferry terminal (served by local buses), more and more people are discovering Hull as a city thanks to its growing popularity. With the city playing host to a Premier League Football Club, and the 2017 City of Culture Award status, people now knows that Hull isn’t just simply the end of a line. Niccolas hopes that this would be the starting point for all backpackers visiting the UK thanks to its sea ferry connections and also the local Humberside Airport that serves flights from Amsterdam. The nightlife in Hull is also becoming more popular thanks to its eclectic Old Town pubs, the Princes and Newland Avenues Bars, the Adelphi Club and the Welly Club that has seen the local bands – Housemartins, The Red Guitars and the Beautiful South play there. 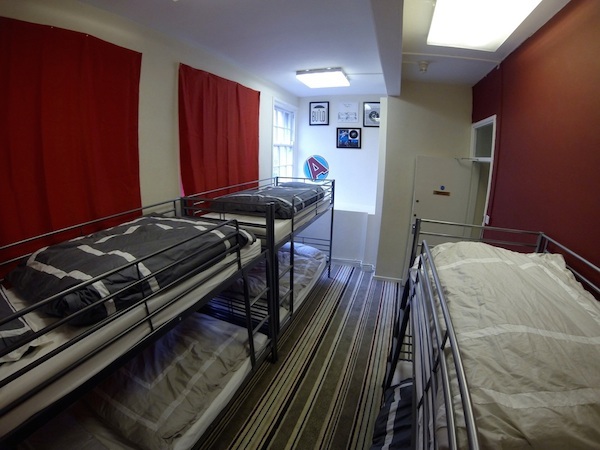 So what’s the Hull Trinity Hostel actually like inside? Only opened this year, this is what I found out. 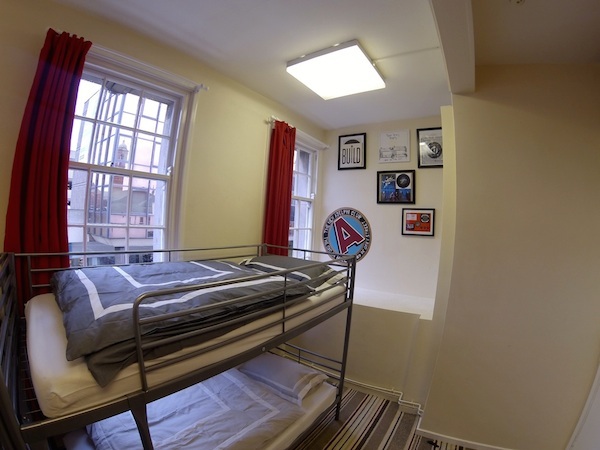 Rooms – there are between 2 – 6 beds with shared shower and toilet facilities. You can still have your own room if you are part of a couple. But if meeting new people is your thing, the dorms are your best bet. Breakfast – Why should you have breakfast within the hostel as there are quirky cafes that serves cheap and delicious food options? However, if you’re tightening the purse-strings, they do have a self-serve kitchen. Laundry – Ah, a luxury for some hostels. If you’re staying longer, you can assess the laundry. Age – Under 16s needs to be accompanied by an adult. Storage – available for those who are bringing bicycles or perhaps even want to store your luggage. Guest Lounge – On the top floor, guests are able to relax, listen to music, cook or even work on their desk spaces. But keep your eyes peeled on the notice board as Hull Trinity Hostel do run their own events such as their epic Halloween Party. Parking – Unfortunately, there is no parking space, however there are multi-story and long stay car parks around. Check In/Out: Check in from 2pm and check out is at 10am. Pretty standard. So I’m pretty excited for Hull Trinity Hostel and I do hope it goes on to be absolutely massive in 2015 and the many years after it. Hull has been sorely lacking any positive awareness about the great city in the North that brought a huge legacy to the country that is the United Kingdom today. So if anyone wants to come visit Hull, even to see me, we have accommodation for you and it’s at the Hull Trinity Hostel. You’re gonna love it. Meanwhile, I’ll await until after Christmas when I’ll be able to find out for myself what the hostel is really like as a backpacker tourist in my hometown. Just Watch this space. *all photos on this article are used from the Hull Trinity Hostel website. Have you stayed in Hull Trinity Hostel? What were your thoughts of it? Don’t forget the YHA have a location in Beverley too. Mind you it’s quite feasible to spend a day or two in each of these locations to really benefit from them. With the Old Town on the front doorstep, it’s definitely a brilliant destination for a hostel.